Remember ‘The Dress’ that divided the internet a few months ago? 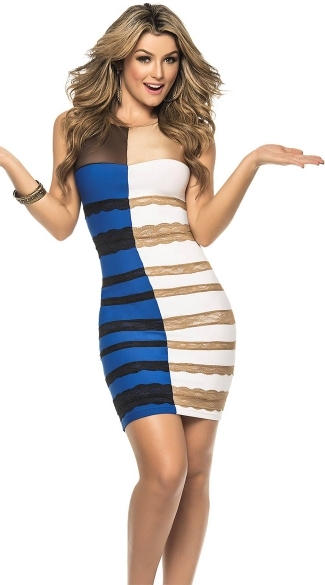 It is now available as a Halloween costume, and it comes in half blue-and-black, and half white-and-gold. The colors are split right down the middle, resulting in a striking, two-face-like mashup. 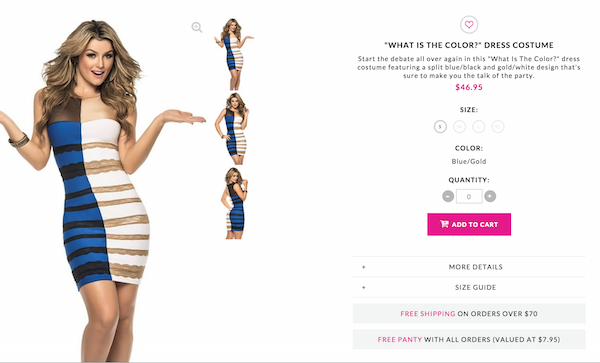 It is officially called the ‘What Is The Color?’ dress costume, which it may bring up past debate again this Halloween. The dress is available at Yandy, or you can get the original dress at Roman.